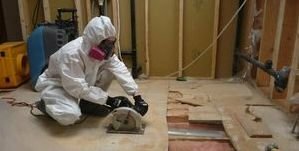 It doesn’t matter how much damage a flood or a leak has done to your home, you can call the water damage High Point agents at 911 Restoration Greensboro and they will get started right away with same day services using the most advanced gear in the industry. You can call us virtually any time you experience an issue with water in your household, and you can be sure that we will pick up. Our phone lines stay open and available 24/7/365, where we have dispatch agents standing by ready to get water damage High Point pros to your home within 45 minutes. Call us today and we will do whatever it takes to get you on the road to a fresh start. Our water damage High Point team uses professional level sump pumps, wet vacuums, air movers and dehumidifiers to extract all the water from the premises and halt any mold production. With so many years in the industry, we have seen it all, so you can be confident in our knowledge in the field when you hire us for a job. Our experts recognize how trying these times can be and that is why we walk people through every phase of a restoration job. We will even help out clients out with all of the insurance paperwork in their time of need. Customer service is very important to us, and we will do whatever we can to show homeowners just how dedicated we are to restoring their home and preventing any future damage from occurring. Our High Point water removal professionals will repair any roofing and vent issues you may be having, making sure to stop any future leakage, so call us today! 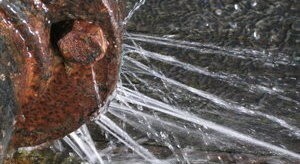 There are many issues that go on above your head that may cause water to seep into your home. The water damage High Point crew wants our homeowners to be aware that they need to pay attention to their roofs, and especially their roof vents. If the vents are damaged, the water can leak into the interior of the home. When you have vents made from plastic, then you should check them for cracked housings. The metal ones have a tendency to get broken seams. Some people use caulk to try to correct these issues, but this won’t work for a permanent fix. If you find that these issues are occurring, then you really should replace them all together. You should also inspect the base of the vents for missing or damaged nails. It is not necessary to remove the roof shingles to repair the vents. You can usually remove nails underneath the shingles on either side of the vent and simply pull it free. Using rubber-washer screws to replace these ruined nails is the best way to fix the problem. In addition to this, you can then implement caulking underneath the shingles that surround the vent as a way to better hold the shingles down and to create a barrier again the rain and snow. 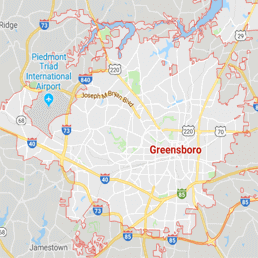 Call our water damage High Point flood cleanup team with 911 Restoration Greensboro and we will get you efficient and affordable prices on all water damage restoration services today!